When choosing your shade garden plants it is really important to define the levels of shade in your garden first so you can select plants suited to the shade category. 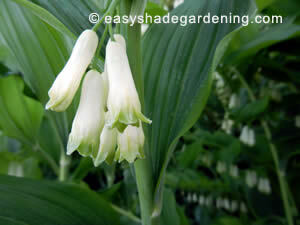 There is an alphabetical list of shade plants further down this page. There are many wonderful plants for shaded gardens and yards but if you don't analyse the amount of shade available, and whether it is full shade, partial shade and so on before planting, your shade garden design is unlikely to be successful. Shaded areas of the garden tend to be a bit neglected because people are not sure what to plant in shade or because they have not had very much success in the past and are reluctant to tackle it. However, if you want to be successful in shade gardening all you have to do is know how to define the shade areas and find the right plants to thrive under shaded conditions and environments. Putting your shade into a category is important as some plants can grow in full shade while others will need partial or dappled shade with provision of light at some point during the day. Basically, there are different classifications for shade and shade types are not all the same. If you study your garden you'll notice that at different times of day each part of the garden receives a different amount of sun and shade. Sun moving across the sky from morning to night affects the amount of shade underneath trees, and parts of your garden may get some sunlight at different times of day. For example, it may get lots of morning sun but be quite shadowed by the afternoon, and vice versa. This is also true throughout different seasons of the year. In winter the sun may be lower in the sky whereas in the summer it is higher and will touch parts of your garden that the light missed completely in the winter. For more information on how to judge shade and put it into categories please visit my page on Types of Shade after you have looked at the example shade plants listed below. 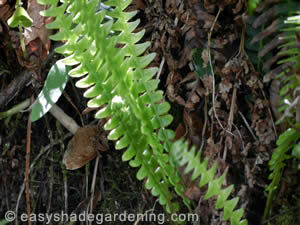 There are lots of interesting plants to cultivate in shade gardens. 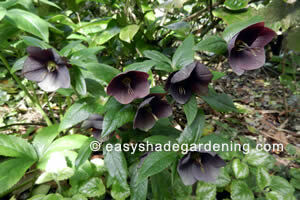 Some are attractive for their leaf colour and variation, and others are appealing for their beautiful flowers. You can choose from shrubs, ferns, perennial flowers, groundcover and ivy, and bulbs that come up in spring and flower before the leaves come out on the trees and block out the sun. 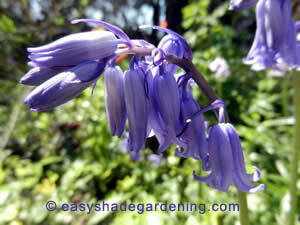 Here is an alphabetical list of examples of shade garden plants. Follow each link to the full description on planting, shade requirements, and tips on how to care for the plant with watering and fertilizer.